The European Commission’s Joint Research Centre (JRC) and EFSA have renewed their commitment to work together in a variety of scientific and technical areas related to food and feed safety, animal health and welfare, plant health and nutrition. 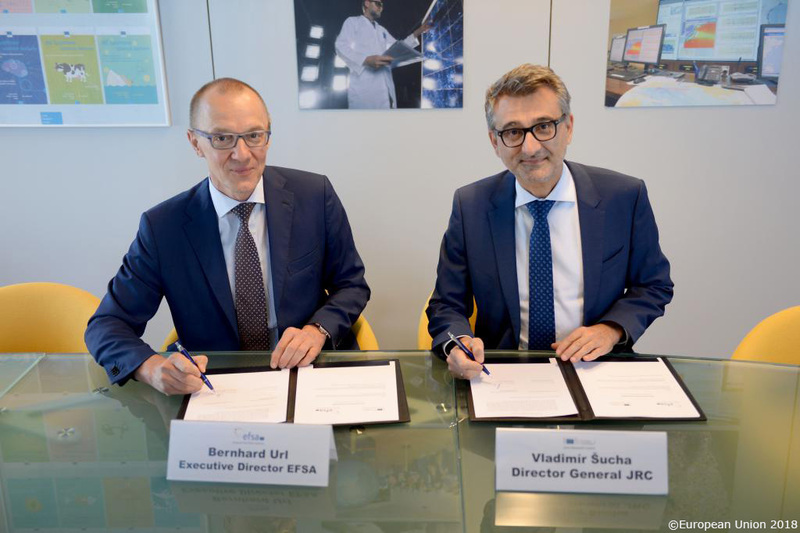 EFSA Executive Director Bernhard Url was at JRC today to discuss future cooperation with JRC Director General Vladimír Šucha, as the heads of the two organisations signed a renewed Collaboration Agreement. collection and use of landscape and environmental data for use in risk assessment. For more information see the JRC website.